We are always seeking new musicians! All instrument players are welcome who can read music well. Young and old sit side by side, and we would enjoy having you join our band family. Not every member can be at every performance, so we welcome new musicians! Click here for more information to join the fun! The band is currently off-season. The first rehearsal is Monday February 25, 2019. If you are interested in receiving email updates, including upcoming concert information, join our Fan Email List here. This information will only be used to announce Nevada County Concert Band events. This information will not be sold or given to any other organization. Every year, the Nevada County Concert Band (NCCBand) brings back to life an era in American history when the local Sunday Band Concert was a grand social occasion. 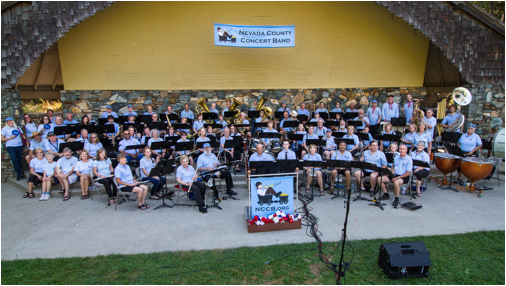 Located in the Sierra Nevada foothills' gold country of Grass Valley and Nevada City, the NCCBand performs free concerts at public parks and local events. In the summer, enjoy the 4-part Picnic Pops Concert Series, wave a flag at the curbside with the band at the Independence Day Parade, catch our performance at the Nevada County Fair, or join us at Constitution Day's street concert. Our local volunteer musicians will entertain you with a fine selection of family-friendly music. If you are seeking a true small-town experience, join the hundreds of loyal NCCBand fans at any of the variety of concerts listed at this website. 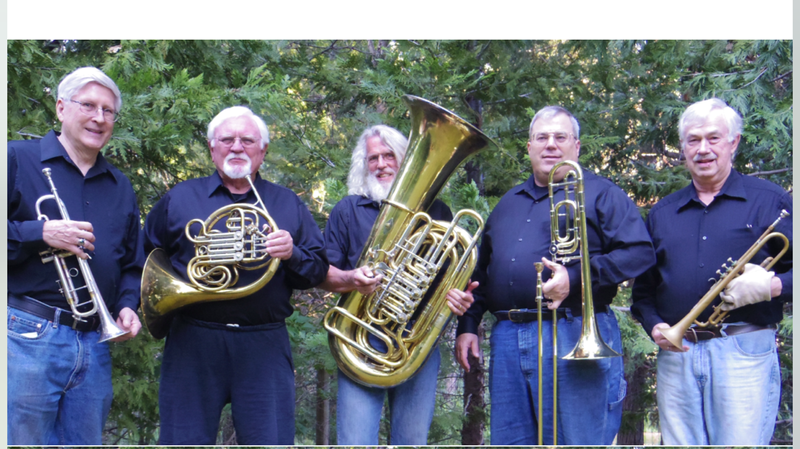 Once you experience the music and fun with the Nevada County Concert Band, you�ll understand another reason why we believe that the Gold Country is so special. By becoming a FRIEND OF THE BAND, you will help provide new music, instrument repair, venue rental, and mitigate other expenses that exist in our endeavor to provide quality, free musical entertainment for Nevada County. Pledge to become instrumental in our future! The Nevada County Concert Band offers the Jerry Foote Scholarship for music students ages 16-25. Click here for details, applications, pictures, and more. Don�t play an instrument? We have a non-musician volunteer job for you! You get an awesome t-shirt, and can take part either behind the scenes, or even during the concert events. Click here for details. Each of these small groups is available to perform at your next event. And more ensembles are now being formed!